The Bing Man's Home of the Leafs: Burke on his way? 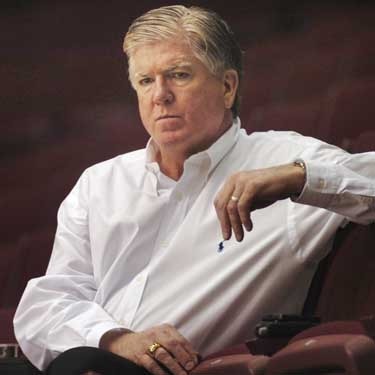 It seems that everyone has pretty much conceded that Brian Burke will become the Leafs' new GM and perhaps even President. Check out this article by veteran Leaf watcher Damien Cox in The Star for further info! CBC is also extolling the possibilities on their website. I am curious to see what happens over the next week or two! Posted by The Renegade Librarian at 10:19 a.m.